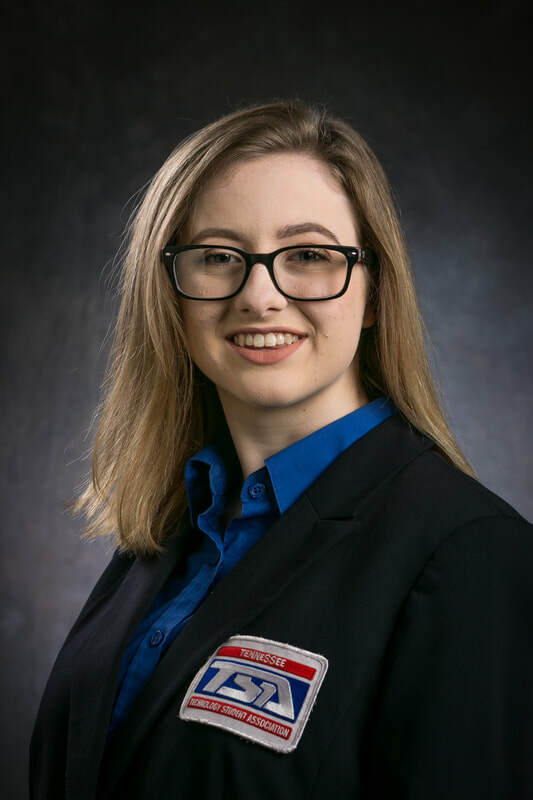 Hi Tennessee TSA, my name is Lauren Kelly and I am honored to be serving as your 2018-2019 Tennessee TSA Treasurer. I am a senior at Karns High School in Knoxville, Tennessee. I first joined TSA three years ago, and since then it has transformed my life in ways I never imagined. I am thankful to my chapter and to my advisor for guiding me to where I am today. I am honored to be a part of such an incredible organization that fosters passion in technology education and leadership skills. My favorite events to compete in are Future Technology Teacher and Engineering Design. Thanks to TSA, I am working toward a career in data science. This year, I would like to bridge the gap between middle school students and high school students. I am excited to be working with you.